Ruby Lee is adventurous, excitable and loud. She’s the kid who loves to talk, loves to do and loves to imagine. So when Ruby Lee gets chosen to be the classroom messenger, a very special task that requires lots of focus, it doesn’t exactly go to plan. 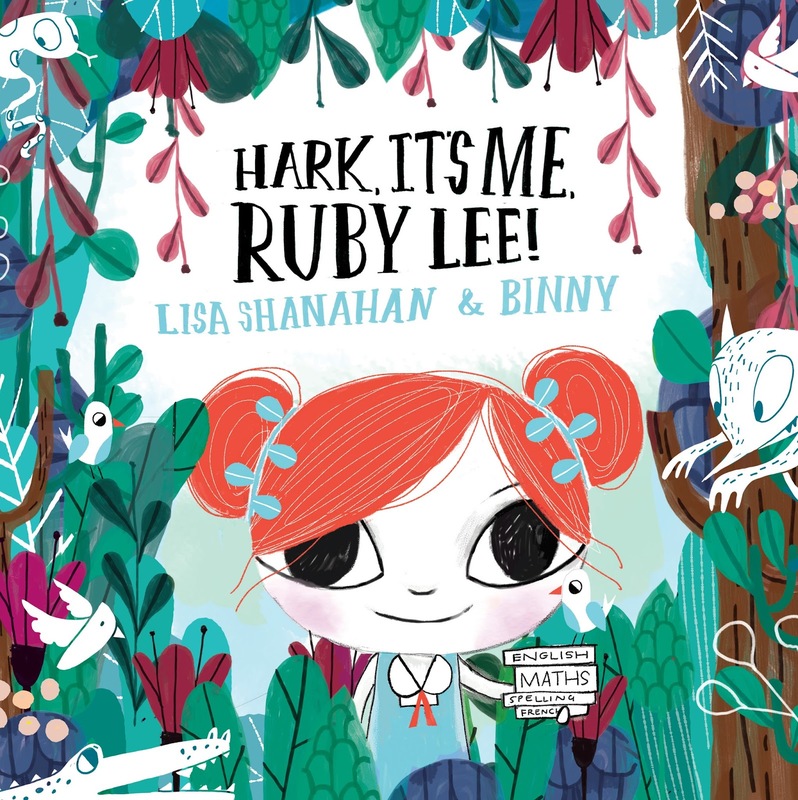 ...catastrophe strikes the classroom, and only adventurous, excitable, loud Ruby Lee has the skills to save everyone. Hark, It’s Me, Ruby Lee! is a fabulous picture book about discovering the things you’re good at and learning to accept you can’t be good at everything. It’s a fun and funny story about self-discovery and identity, relatable to every child and everyone who’s ever been a child, too. The character development in this book is deep and amazing. By the end of the book, you’ll feel as if Ruby Lee is a real person — that you know her personally. Her hopes, dreams, disappointments and flaws are all exposed, pulling you into the story so you experience the same sadness, joy and pride as Ruby Lee does through the book. Kids will really ‘get’ this book. It’s entertaining and engaging, it’s super relatable and it explores themes that are relevant and important in a child’s world. And with colourful and funky illustrations by Binny, it’s a visual delight to explore. The illustrations are just so gorgeous, and they grab your attention from across a room. I found myself opening the book again and again just to stare at all the pictures. This book really stands out. With amazing characters, a fun story, stunning illustrations and awesome themes, it’s a picture book all kids will adore. Title: Hark, It’s Me, Ruby Lee!